How to make QR codes? - If you want to create free QR codes without any issue. 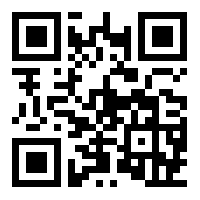 So, Today I am going to tell you, How to make QR codes? for free. So, read this article carefully to know about it. Hi friends, Today I will discuss How to make QR codes? For FREE. If you think, There is a rocket science to make QR codes. So, you are wrong! Because It is very easy to make QR codes anytime you want. First of all, Let we know What is QR code? It is a 2-dimensional barcode with up to 4000 encoded characters and used to display characters and open a URL or Link. Now, Let we come to our topic "How to make QR codes?" Select What you want to show? means that If you want to show text or open a link etc. For example - Here, I am choosing Link Option and Paste my site link. Want to try, It is working or not? Try yourself, Just Scan this code by Clicking here. Now your QR code is ready to use. If you like our post on "How to make QR codes?" and want more awesome content, Just subscribe to our newsletter service or Allow our Push notification by clicking on bell icon. Also, Share this post with your friends on WhatsApp, Facebook or anywhere you want! because Sharing is Caring.